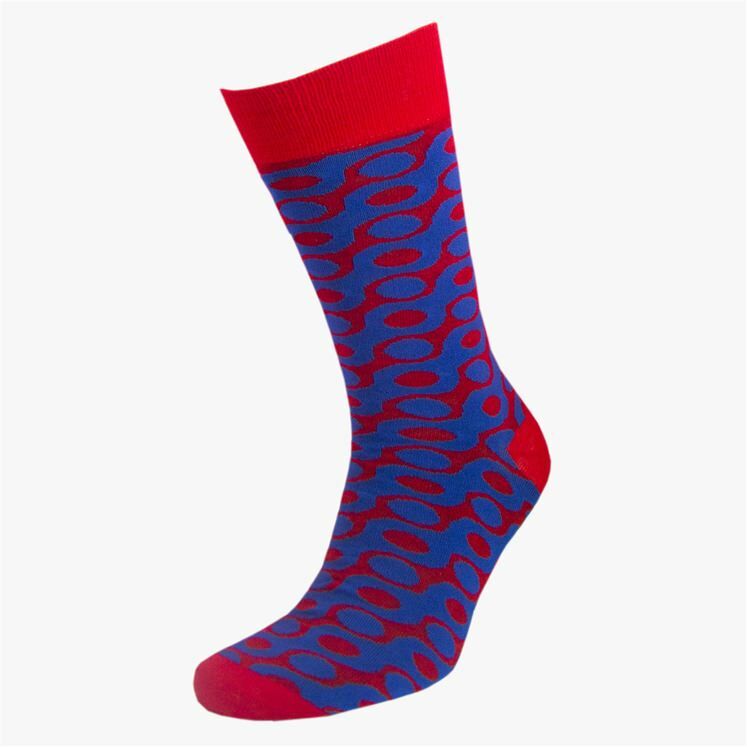 Red and blue socks with a slightly psychedelic wavy spot design. Onesize fits all. 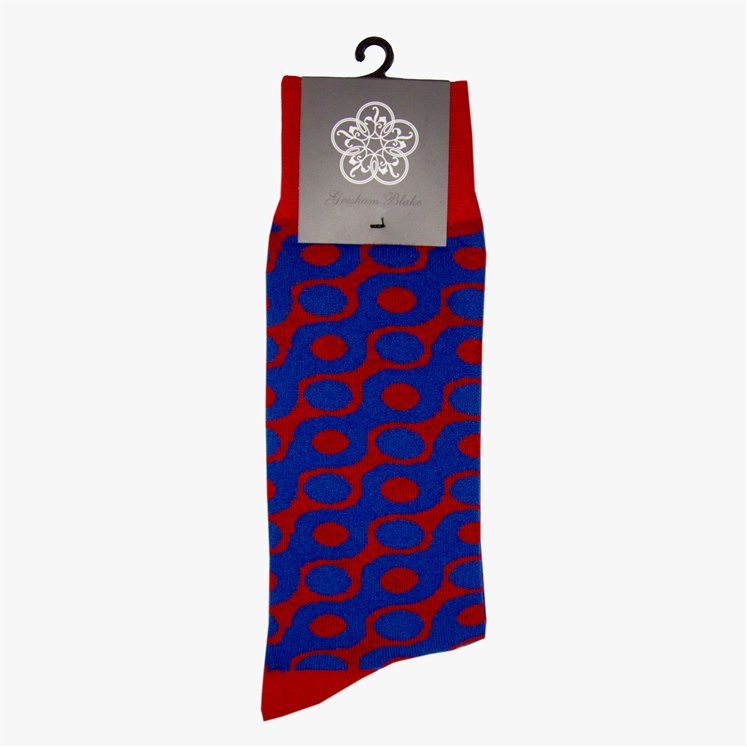 75% cotton / 20% polymide / 5% elastane. Machine washable.